And on 19-Nov, I came back to work. 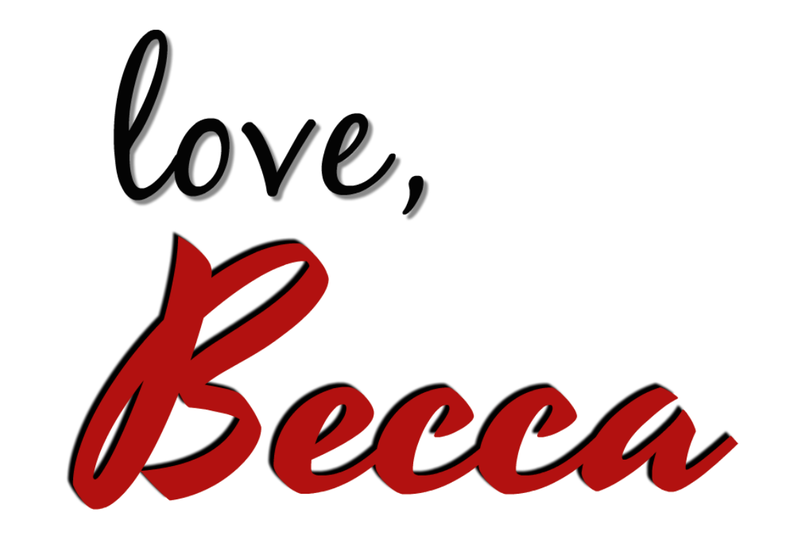 My first day back to work was really tough but there were lots of work to do plus I got an email from our HR about my conversion from contract to permanent employee so my mind got very busy which in a way has helped me tremendously. My body was recovering well and things were moving like a whirlwind in office. What I thought was just a normal conversion of a contract worker to a permanent staff was actually a promotion. They’re not just converting me to a permanent employee but promoting me as well to a lead role. While I’m not sure if I’m ready for it, I seriously think that this is God’s hand at work. So I just followed the flow and trusted God wherever He would lead me. By the way, I’m working based on LOC (Letter of Consent) using my Dependent Pass and with this conversion, the company told me they will apply for my own work pass. For God’s glory, the work pass got approved on 31st December. What a great way to end the year! And remember I went back to work for our parents house? For God’s glory, it’s nearly finished as of this typing. We’re looking forward to have them moved in to the new house before the month of January ends and we will have our house blessing on the last week of February. Isn’t God truly amazing? You know what’s super remarkable about 2018? The journey that God has put me and husband in, the amazing power of the Holy Spirit that shaped me into someone I never knew I could be and simply, God’s faithfulness. From 2010 to date, God has been teaching me humility and the year of 2018 has taught me that it is only with full dependency on Jesus that I could learn humility, and that only by the power of the Holy Spirit that one person can change. Yes we have to have the will to change but it’s only through the Holy Spirit that we can. 2018 will forever be the year where God really bent my knees to humble myself before His throne and taught me that if only I will lay every thing down at His feet, He will sure to give me every thing I need according to His perfect will and wonderful plans. God is faithful even when we’re not. Trusting God will never lead us astray. There is no other way to God’s will and to the fulfilment of His plans for us but through Jesus. There is no shortcut. Yes, there will be hurdles but God’s comfort will always be with us through Jesus and the power of the Holy Spirit. May we all have a Spirit-filled and meaningful year as we live out the purpose of God in our lives. A blessed and happy 2019 to all of us! 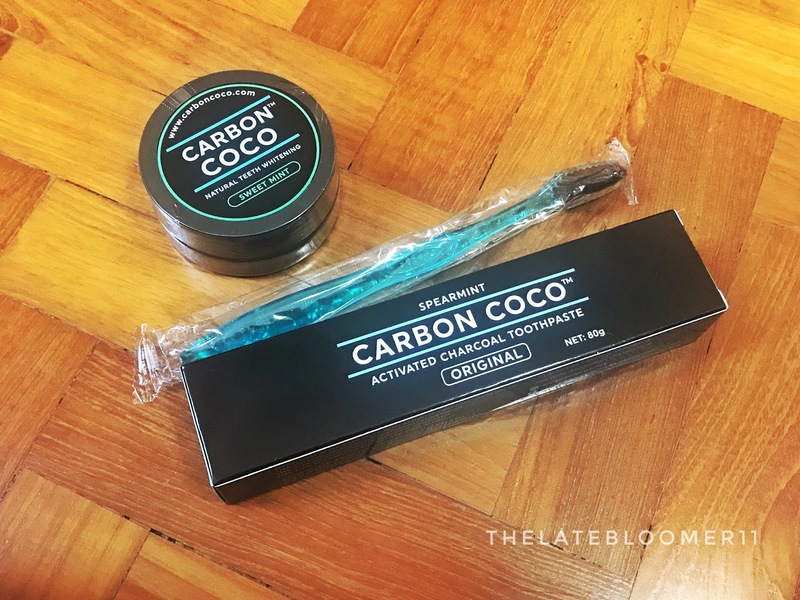 Since I’ve already shared with you my thoughts on a Carbon Coco Teeth Whitening kit before, let’s jump straight to what I think about this new kit that they sent me. In September, I received their Carbon Coco Sweet Mint Activated Charcoal kit, which consists of their limited edition Sweet Mint Activated CharcoalTooth Polish, Activated Charcoal Toothpaste in Spearmint and Bamboo Charcoal Toothbrush. I have to be honest, I only tried the activated tooth polish in sweet mint once coz I already know that it works but that it’s really messy to use. It does smell minty and leaves my mouth feeling fresh as if I just brushed my teeth using normal minty toothpaste unlike their original charcoal tooth polish. I seriously prefer this sweet mint version over their original one. Anyway, what I really tried until its last drop is the Activated Charcoal Toothpaste. I’m obsessed with making sure my mouth is clean and my breath smells fresh at all times which is why I brush my teeth at least 3 times a day. Some say it’s bad, some say it’s not but I say, I do me. 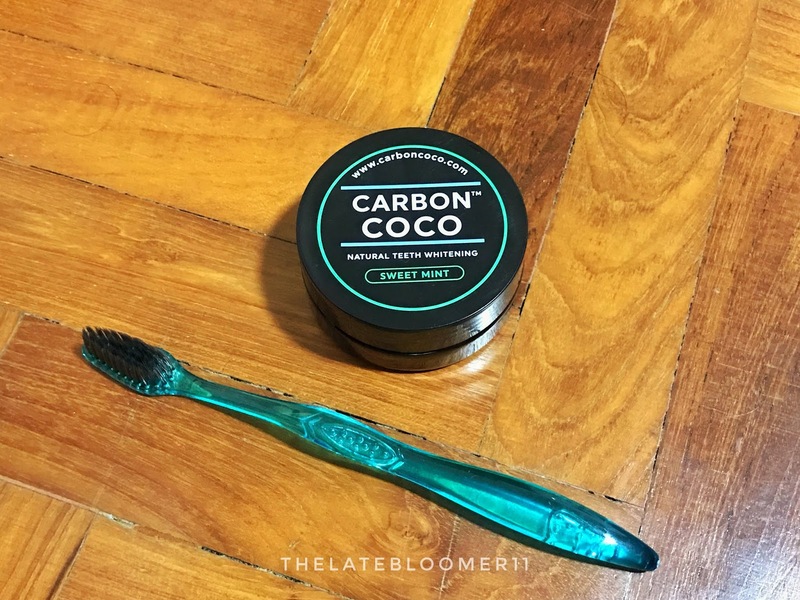 While I use a different toothpaste in the morning and evening, I brought this toothpaste from Carbon Coco to office (oh yeah I’m working full time again, by the way – I’ll tell you more about it in my year in review post) so I can use it during lunch time. In short, I only use this product once a day, 5 days a week. I used it for the whole of October until December 2018. So what do I think about the toothpaste? Well, for starters, it doesn’t bubble the same way a normal toothpaste does but you can build it up if it matters that much to you. I can definitely smell and taste the spearmint flavour but it’s not that strong to the point that it’s not annoying. It didn’t whiten my teeth per se but it really prevented my teeth from getting more stained coz I drink 2-3 cups of coffee on a daily basis and that for me is such a big deal. Will I purchase the kit on my own? I’m not sure about the kit but the toothpaste, I would love to! 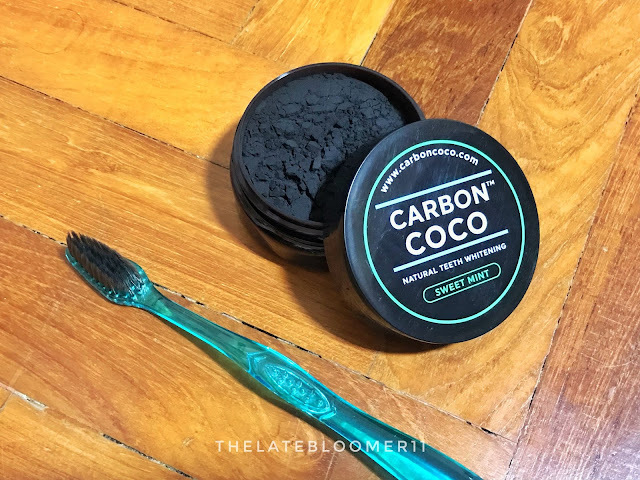 In fact, I have my eyes right now on their Refiller Pack, which consists of their Activated Charcoal Toothpaste, Activated Charcoal Alcohol Free Rinse and their Bamboo Charcoal Toothbrush for $49.95 but is currently being sold for $24.95. By the way, they have a New Year sale right now giving customers 20% off storewide by using code NEW20. So if you’re interested in any of their products, now’s the best time to shop at their website! The product was sent to me for free for review purposes. I was not paid to write this post/film the video. All thoughts shared in this post/video are solely based on my honest opinion.